Thanks to a grant from the Great Gulf Coast Arts Festival, the Friends of West Florida Public Library is sponsoring an Altered Books Exhibition. You are invited to get creative and alter or transform a book. 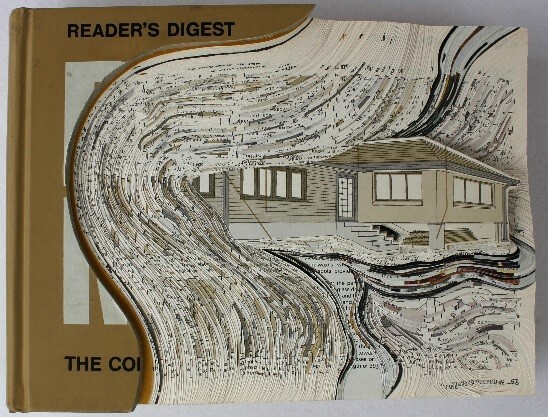 An altered book is a form of mixed media artwork that changes a book from its original form into a different form, altering its appearance/meaning. You may submit your altered book(s) at Artel Gallery, 223 Palafox Place, on November 4 and 5 from 10:00 a.m. until 3:00 p.m. Submissions will be on display at Artel Gallery, November 7-18. A reception will be held on Thursday, November 16 from 5:30 – 7:30 p.m. There will be 2 divisions: K-12 Students and Artists (includes college students). Three winners will be awarded cash prizes ($150, $100, $50) in each division.